It’s Thursday of Holy Week. I do not feel very holy. It’s been a blur since Christmas to be honest. Christmas… man. That seems like a lifetime ago and then also, that seems like five minutes ago. I remember being surrounded by our precious worship team on stage and singing all together words like “what a beautiful name it is” and “come and see what God has done”, which genuinely was a pause for me. I remember pausing to thank God for sending his son in such a tender and humble way. I remember thanking Jesus for agreeing to live a human life and agreeing to taking on all that humanity brings. I remember crying the whole way home from church on Christmas Eve because all of our services were so beautiful and I felt like our team had really done a great thing in reaching new people. And now we’re turning March to the back of the calendar and I have not felt that strong of a pause in all these weeks. Sure, I’ve thought about God, and we’ve talked. I’ve read some scripture. I’ve lead devotions and I’m in a small group. But that deep pause – no. As we enter Easter Weekend, I can’t stop thinking about Christmas and I know some of you are thinking just how troubling that is. But to me, it just makes sense. We can’t have the cross without talking about the manger. A quiet, obedient and faith-filled girl trusted God as she gave birth to a baby boy and named him, “Emmanuel.” She named him “God with us.” I’m teary just typing that. 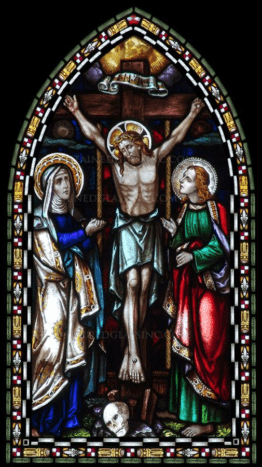 She carried him in her womb as a lonely unwed mother and knew he was destined to be crucified. She went through the painful, dirty birthing process in, essentially, a barn or cave knowing he was going to be crucified. Joseph married an outcasted woman in faith, knowing her child was to born to die. Joseph fathered this child, taught him to read and write and walk and work, knowing he was destined to be crucified. I can’t begin to imagine the every day pain that must have been. In my family we typically read the story of Jesus birth in the book of Luke, chapter two. 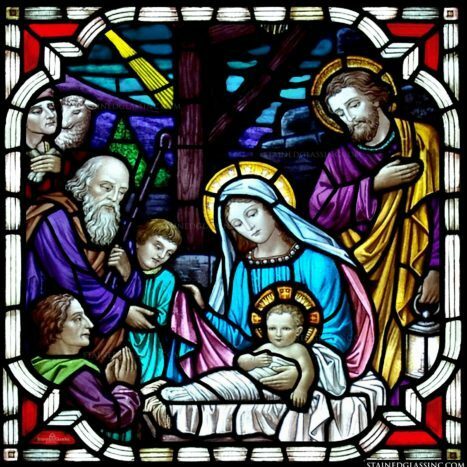 Toward the end of that chapter, Mary and Joseph take the baby to the temple in a way similar to our “baby dedications”. And two of my very favorite people in the whole Bible are listed there: Simeon and Anna, whose stories are for another day, but they both had been longing to meet the promised Savior of their people. Later it mentions that Anna was a widow who never left the temple and spent all her time worshipping there, praying and fasting. It says she she gave thanks to God and talked about the child to “all who were looking forward to the redemption of Jerusalem.” And there it is. The word “Jerusalem” here is talking about the old system of worship and sacrifice, the law and prophets. And the “redemption” Anna is talking about is the new thing that was promised so long ago and is finally now happening – Christ the Messiah as the HERO of the whole world. Zoom forward and again, it’s Thursday of Holy Week. Jesus is now a grown man. He had sent John and Peter on ahead and they made the Passover meal ready. Jesus washed the disciples feet. He told his disciples, “I have been very eager to eat this Passover meal with you before my suffering begins. For I tell you now that I won’t eat this meal again until its meaning is fulfilled in the Kingdom of God.” (Luke 22:15-16) They didn’t understand. They couldn’t understand. Afterward, late in the evening, he went to the Garden of Gethsemane to pray. In the book of Luke, it says his sweat became like great drops of blood that fell to the dirt. He was distraught. He knew that by morning his trial would be underway and it was the only way. He knew that within 24 hours he would be dead but it would not be a quick or easy path. It would be excruciating but to truly be God with us, he knew he must do this thing. He knew he must take on the sins of our past, our present, and our future. And I confidently believe he felt the painful loneliness and heartache every step of the way. Where are you this Thursday of Holy Week? Are you caught in the blur of getting it done? Have you thought about Jesus yet this week? Have you talked to him? 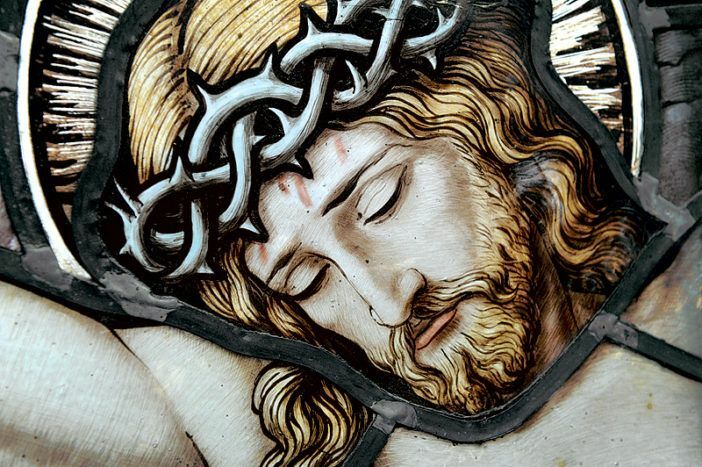 Let’s pause – a true pause – to remember him both as a beautiful baby in a manger and as a grown man dying on a cross. Both represent the promises fulfilled. Both tell a great love story straight to our heart, rescuing us from the death we deserve. And both the manger and the cross are necessary to lead to the ultimate victory on Easter Sunday. Remember Jesus’ words this week. He loves you and he is God with you. In your chaos and pain and frustration and celebration and your attempts to slip past him, he loves you and he is with you.